Please select the magnification for your mirror. Windisch's Incandescent Light Mirrors makeup magnifying mirror is a makeup mirror that is great for a contemporary style personal bathroom. Made in and imported from Spain by Windisch, this wall mounted magnified mirror is a handsome option for your decorator master bath. 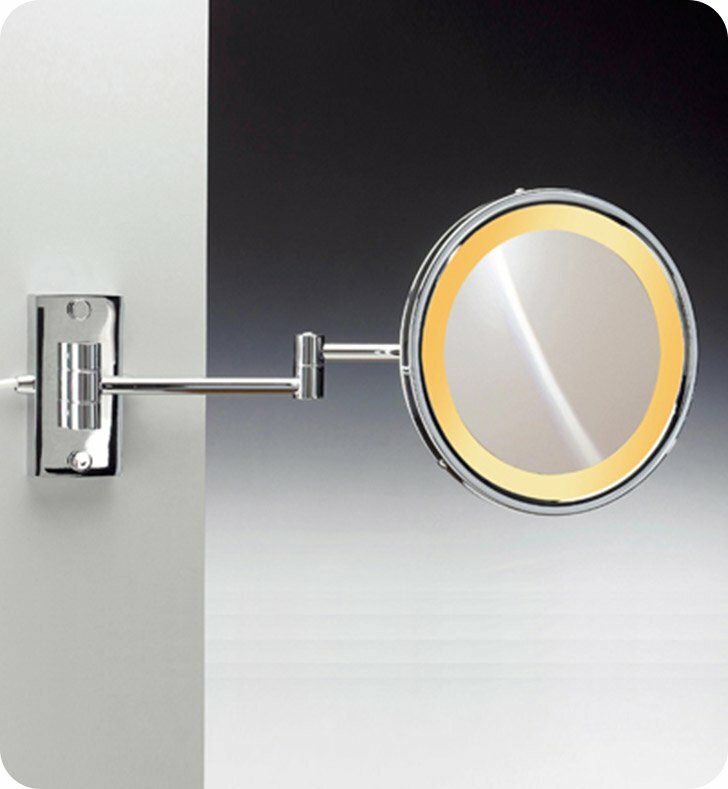 This designer magnified mirror is made of quality brass and finished in chrome, gold or brushed nickel.